At Long Beach Heating and Air Conditioning, we excel at HVAC ductwork system design, installation, and repair. Our HVAC service and installation technicians are all NATE certified, have years of experience, and receive ongoing factory training. 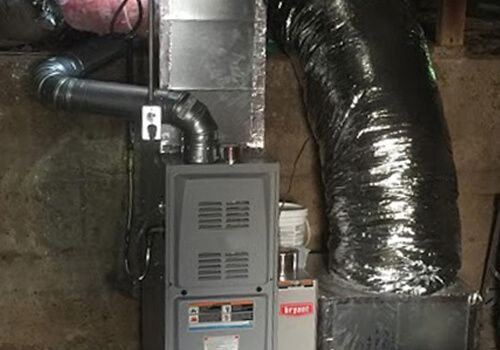 They work on everything from installing HVAC systems and ducting for new construction homes, businesses, and remodels to completely replacing ductwork and relocating registers. To ensure that we meet each client's specific set of expectations and circumstances, we provide a free on-site assessment and personalize our recommended solution to meet their unique needs and budget. We keep our pricing competitive and have options for nearly every budget. We also offer a variety of financing options. We have over 90,000 satisfied clients throughout Long Beach, Palos Verdes, San Pedro, Carson, Seal Beach, Lakewood, Signal Hill, Huntington Beach, Redondo Beach, Manhattan Beach, Gardena, Hawthorne, and surrounding areas, and our commitment to providing exceptional service has earned us a spot among Bryant's® prestigious Circle of Champions two years in a row. Because ductwork plays such a critical role in the optimization of your HVAC system's energy efficiency and performance, we take great care in designing each and every duct system. From helping you choose between sheet metal and flexible ducting to determining the proper size and placement of your ducts and registers, we consider every aspect of your duct systems to give you the best results possible. We have a full sheet metal shop to build custom ductwork, and we can even help you explore your ducting options to help you achieve a particular look at your home or business. We've left spiral ducts exposed in restaurants and homes, and we've installed architecturally designed, custom-colored registers made of wood and cast iron. Or, if you need to stay within a specified budget, we can help you explore a variety of economical options. We can also replace existing ductwork. However, if you have asbestos ductwork, we'll need to arrange for asbestos remediation before we can put the new ductwork in. Call us today to set up an appointment with one of our highly experienced, factory trained HVAC experts. Our rep will perform a complete assessment of your home or commercial building and review a number of options that fit your needs. We pride ourselves on providing honest, expert recommendations to help our clients make well-informed choices that are truly in their best interest. With every ductwork installation or replacement project, we ensure all work is done to code and meets the highest of industry standards for quality workmanship. If your HVAC system appears to be inefficient or inconsistent in how it warms and cools the rooms in your home or office, your ducts may be leaking. 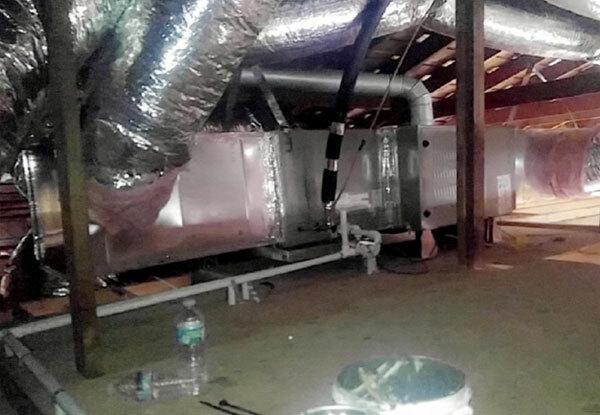 We typically inspect ductwork as part of our regularly scheduled tune-up service, but we can also come out and assess your ductwork during our $89 diagnostic visit if you've experienced a sudden change in the effectiveness of your heating and cooling system. If we discover a leak or other issue with your ducts, we can provide fast and affordable ductwork patching or other ductwork repair services. If you are interested in determining how efficient your ducts are, we can arrange to have a HERS (Home Energy Rating System) rater come out and test your system. Long Beach Heating and Air Conditioning is a family-owned and -operated, fully licensed and insured HVAC contractor that has served the cities of Long Beach, Los Alamitos, Signal Hill, Huntington Beach, Seal Beach, Paramount, Downey, Redondo Beach, Manhattan Beach, Torrance, Palos Verdes, and beyond for over 60 years. We have a long-standing reputation for providing high-quality work at fair prices with honest service. In addition to ductwork installation, replacement, and repair, we also provide ductwork cleaning services. Click here to learn more.